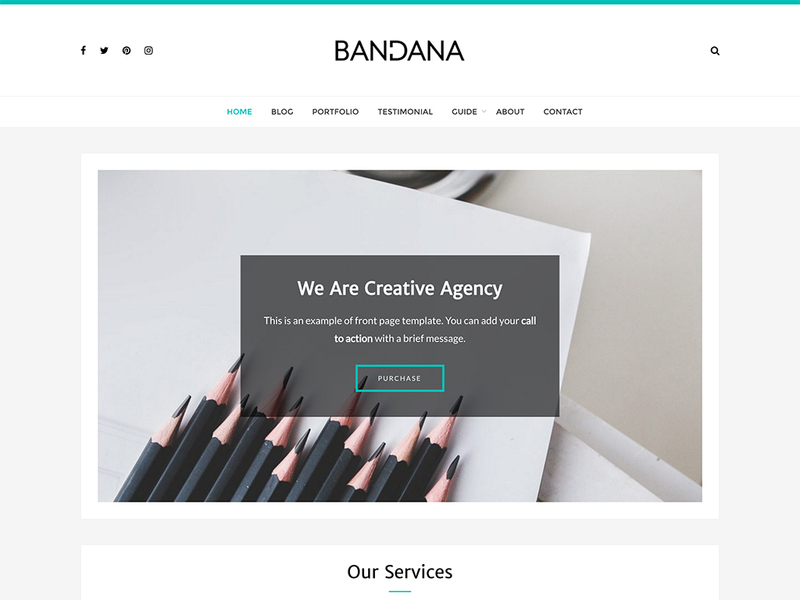 Candela is responsive and creative portfolio WordPress theme for agency, freelancers, artist and corporate. The unique design make the showcase standout from others. 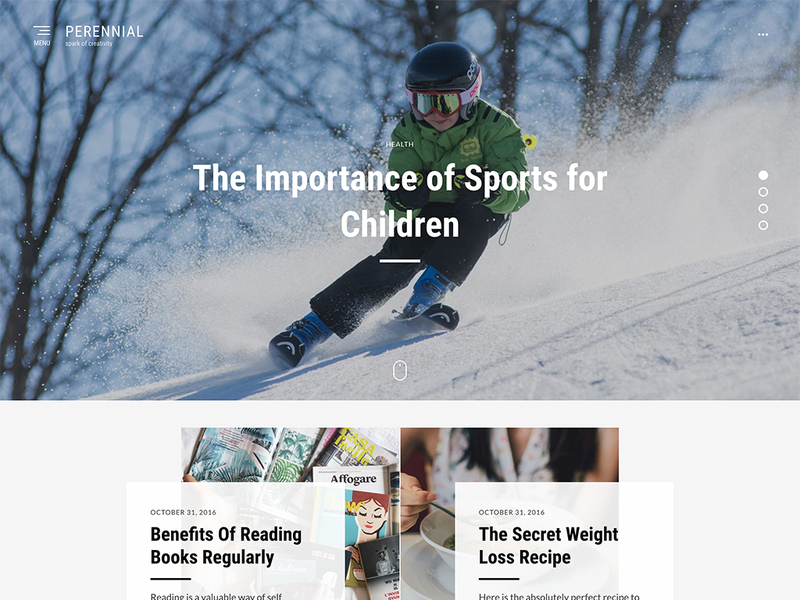 It is also designed to be straightforward to the main content, without being distracted with other less important components. 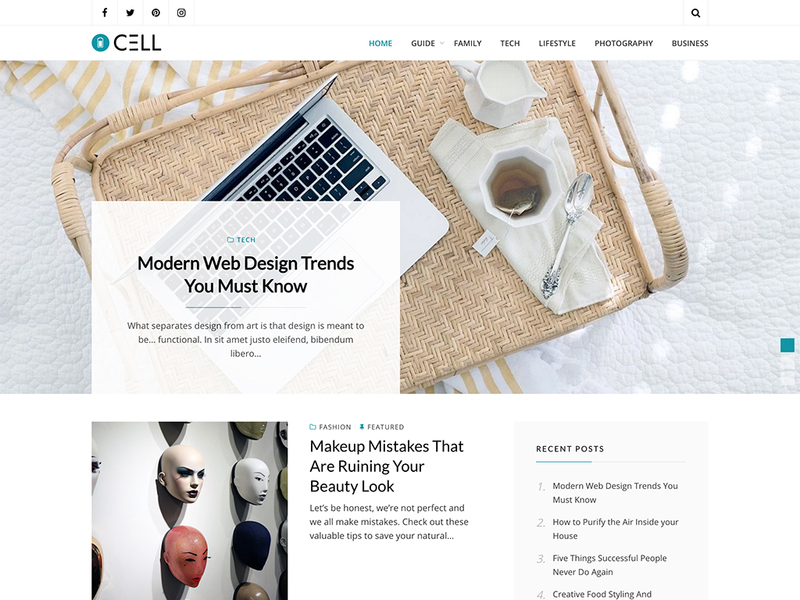 Candela WordPress theme can work well on many different kinds of screen, resolution ranging PC, laptops from smart phones. Surely, you can experience with the most perfect way although what device is used. 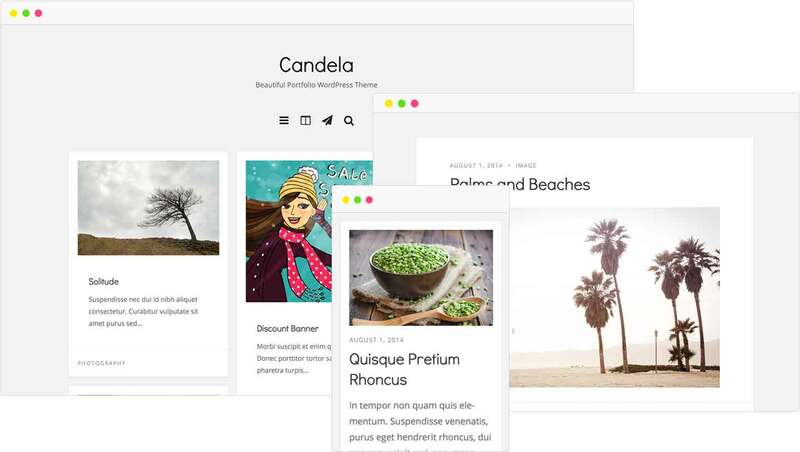 Candela has clean and beautiful masonry portfolio grid layout. 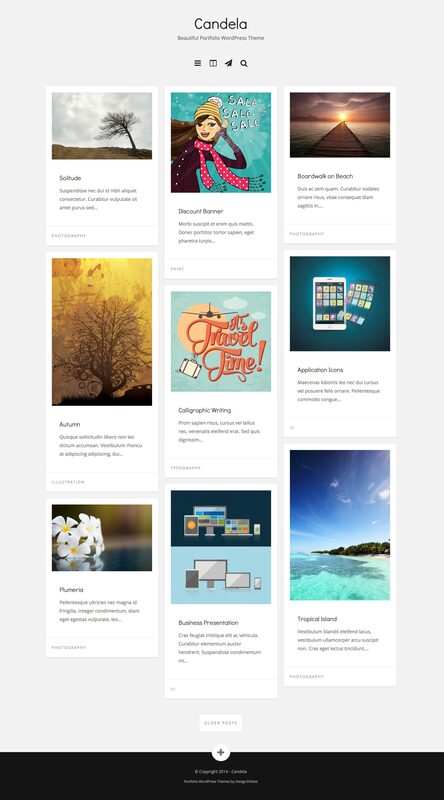 You can also categorize and tag your portfolio items for more organization. = 2.2.1 = Release Date: February 13, 2017 * Custom CSS Section is deprecated in favour of WordPress core. * Theme settings are grouped under Theme Options panel. * Theme updater added. 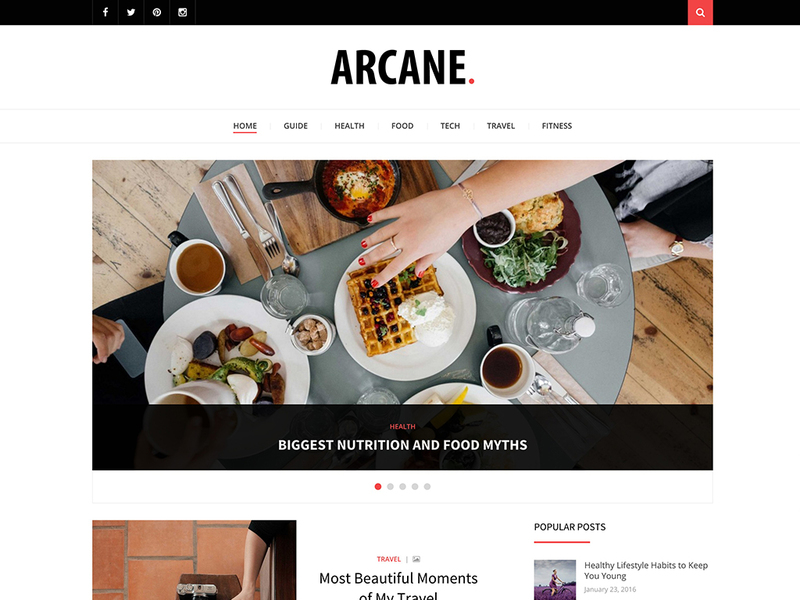 Theme can be updated from WordPress dashboard during the subscription period. * FontAwesome is updated to the latest version 4.7.0. = 2.2 = Release Date: December 19, 2015 * New : WooCommerce support added. * New : WooCommerce: Options added in theme Customizer i.e. `Appearance > Customize > Theme Options` * New : WooCommerce: WooCommerce sidebar page template added for the WooCommerce pages having shortcodes e.g. Cart, Checkout etc * Enhancement : Jetpack: Code organized. * Enhancement : In the Customizer, “Theme” label is changed to “Theme Options” for the sake of consistency. * Update : Google Fonts Updated. * Update : Font Awesome: Updated to version 4.5.0 * Update : POT file updated. * Deprecation : Fitvids: Removed in favour of Jetpack responsive videos. * Bug Fix : Multiple Theme text domains fixed to ensure compatibility with the language packs. * Heads Up : Theme Custom CSS section i.e. `Appearance > Customize > Theme Custom CSS` will be removed in favour of Jetpack Custom CSS module in the version 2.3+ = 2.1 = Release Date: March 24, 2015 * Enhancement: Load up the comment template only, if we have comments for `image.php` template. * Enhancement: Optimize the responsive display of gallery caption. * Enhancement: Optimize the responsive display of attachment caption. 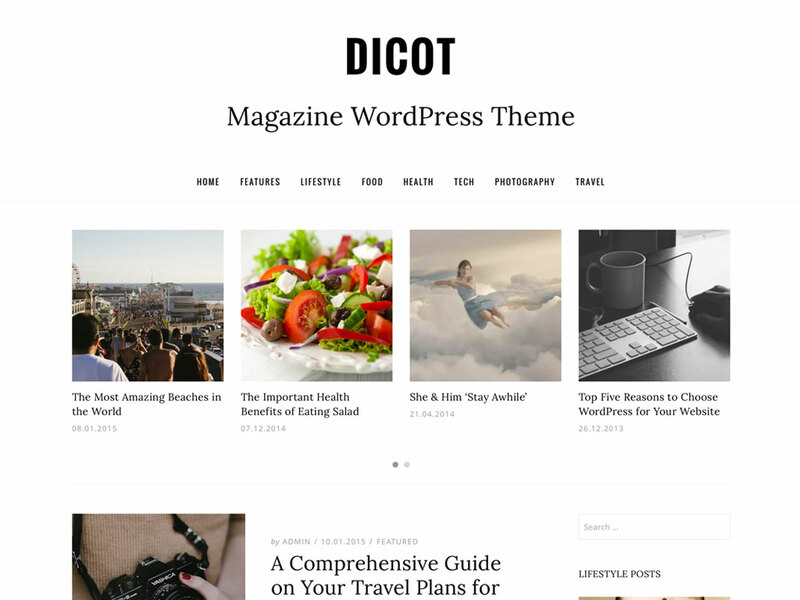 = 2.0 = Release Date: February 09, 2015 * New: WordPress 4.1 feature `add_theme_support( ‘title-tag’ );` added. * New: HTML5 markup for search form, comment form, comments, galleries and captions. * New: Google fonts are loaded for editor style. * New: Google fonts are loaded for custom headers in the admin area. * Enhancement: Custom Header background. * Enhancement: Site Bar controls color will be changed via Header Text Color in the Customizer. * Enhancement: Google fonts are loaded with enhanced logic supporting subsets. * Enhancement: `.infinite-scroll` class added to override the default Jetpack Infinite Scroll styles. * Enhancement: `Theme Options` label changed to `Theme` in the Customizer. * Bug Fix: Unnecessary calls of `get_sidebar()` removed from different templates. 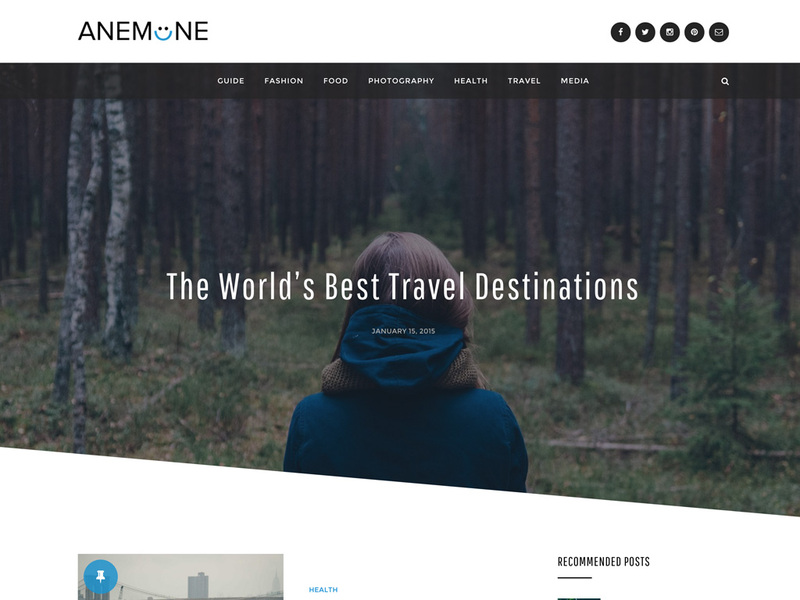 * Update: Updated Font Awesome to version 4.3.0 = 1.1 = Release Date: November 02 2014 * New: Jetpack Site Logo support added. * Deprecation: No need of Site Logo plugin as Site Logo is integrated in Jetpack (From Version 3.2) = 1.0 = Release Date: October 12, 2014 * Initial release.